In the first multi-volume biography of Abraham Lincoln to be published in decades, Lincoln scholar Michael Burlingame offers a fresh look at the life of one of America's greatest presidents. Incorporating the field notes of earlier biographers, along with decades of research in multiple manuscript archives and long-neglected newspapers, this remarkable work will both alter and reinforce current understanding of America's sixteenth president. 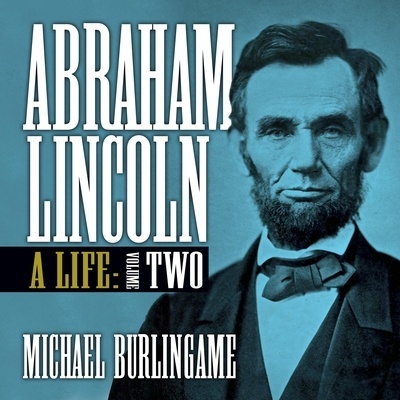 In volume 2, Burlingame examines Lincoln's presidency and the trials of the Civil War. He supplies fascinating details on the crisis over Fort Sumter and the relentless office seekers who plagued Lincoln. He introduces listeners to the president's battles with hostile newspaper editors and his quarrels with incompetent field commanders. Burlingame also interprets Lincoln's private life, discussing his marriage to Mary Todd, the untimely death of his son Willie to disease in 1862, and his recurrent anguish over the enormous human costs of the war.